The time for celebration is near. The perfect costume is almost complete. You are quite pleased with the image in the mirror, but something is missing. Add a classical touch to your attire by donning the Celtic Knot Buckle Belt. 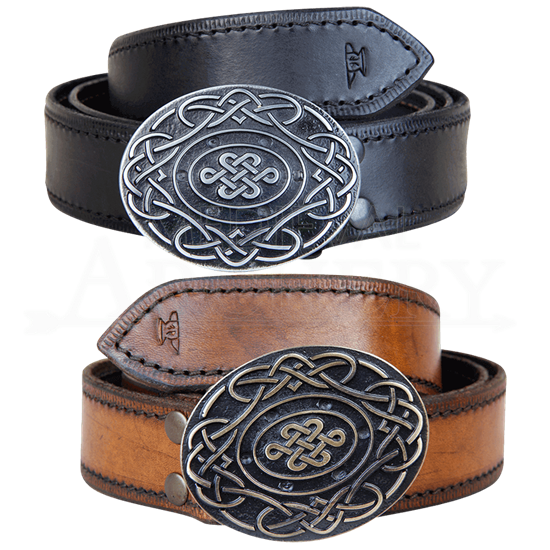 Onlookers will admire the traditional Celtic knots that adorn the oval clasp. The thick thorn on the underside of the clasp will ensure a secure hold. Enjoy the look and feel of the quality leather belt. There are no premade punch holes, allowing for an eye-pleasingly smooth custom fit. 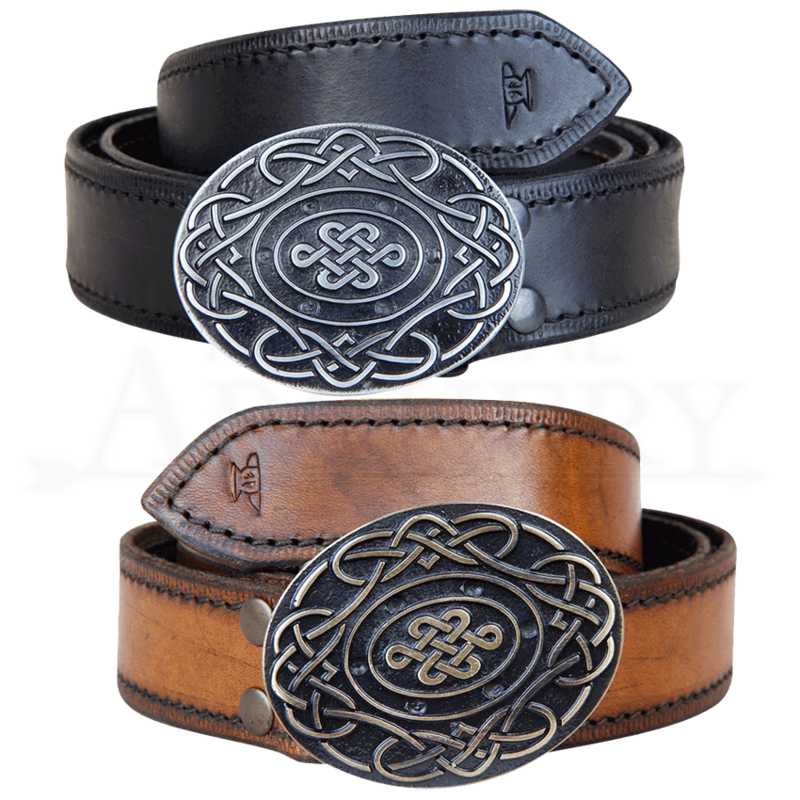 Complete your proud costume with this excellent Celtic buckle belt fastened around your waist.